Mexican food is my all time favorite. It’s my desserted island food, my last meal food and my go-to when working late. Here are the best dishes I’ve found. The restaurant is small and unassuming, but we’ve never had a bad meal here. I’ve worked my way through most of the menu, and some of my favorite dishes include the calamari, spring rolls and hot and sour soup. The calamari is crispy and spiced perfectly. 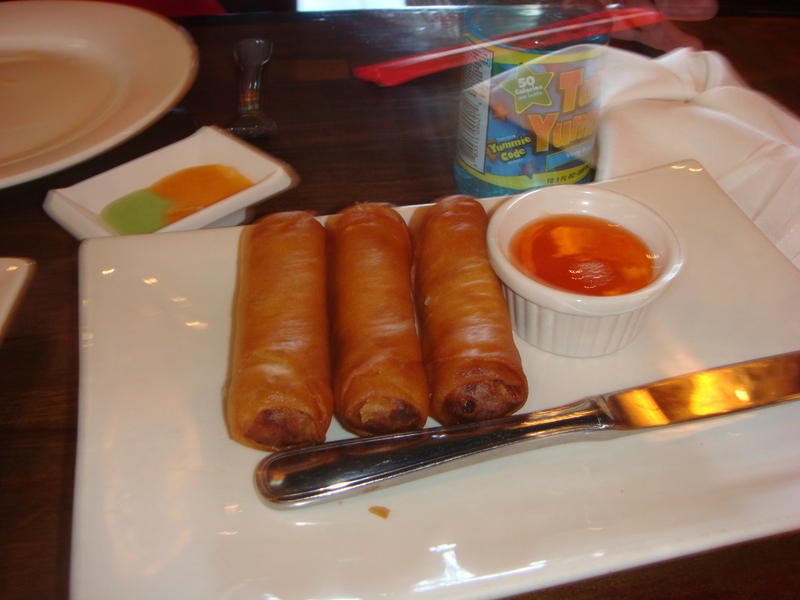 The spring rolls have pork and shrimp and are served with the most delicious sweet chili sauce for dipping. 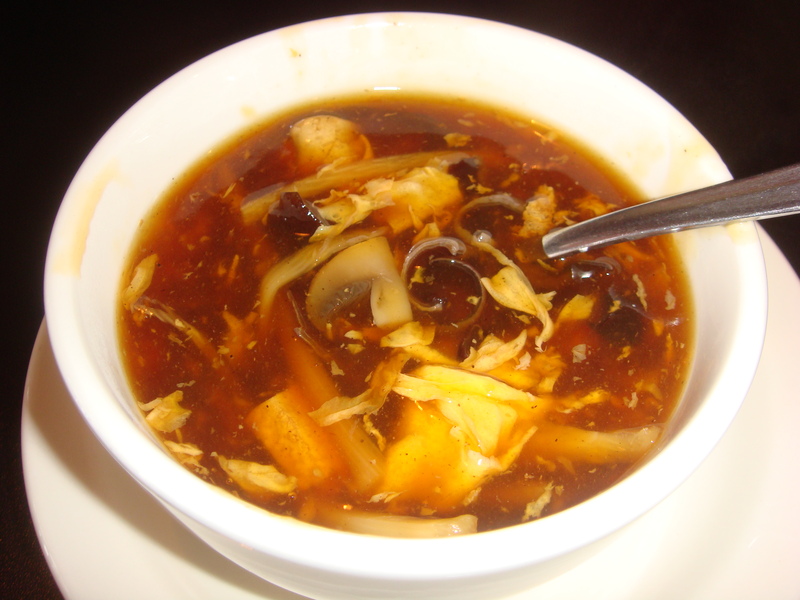 But my favorite appetizer is the Hot and Sour Soup. It is chock full of mushrooms and tofu and comes with crispy fried noodles. Perfect for winter! The sushi at Jia is among the best I’ve ever had. The fish is fresh, and the rolls are innovative. 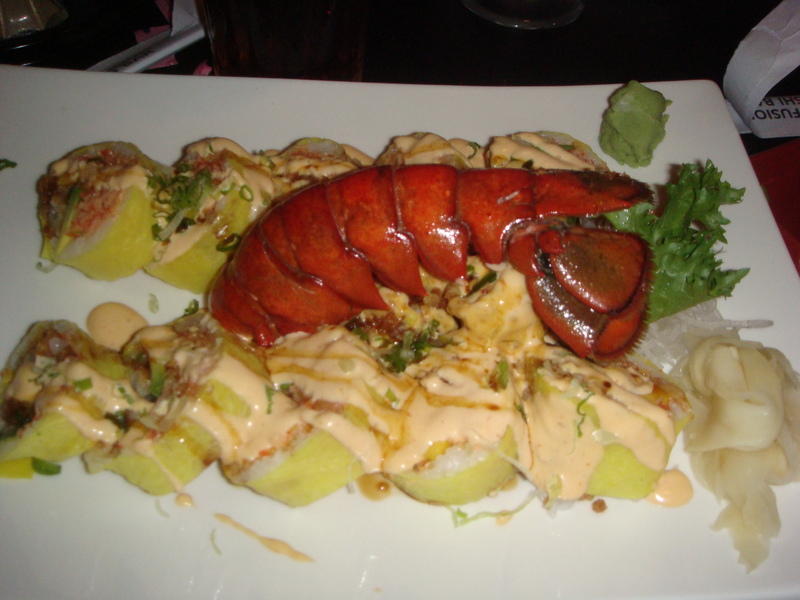 If you will check out the Specials board when you enter, you’ll see some specialty rolls that aren’t on the menu and even some that are with lower prices. Nick’s in Gastonia is a place I’ve tried to visit a few times before, but the timing was never right. I’ve gone a time or two and it was in between services, or closed for renovations. Finally the Foodie Bunch made a reservation and we visited last night. And since going out every weekend since January of this year, I think we all agreed that this was the second worst experience for dining we’d encountered. There was one handicapped spot in front of the restaurant and it was taken, so we used valet. It was awkward because we had to stop in the middle of the street and make a dash for it with traffic blocked behind us, and hoping not to get hit by the traffic coming from the other lane. Once we got done with dinner, the handicapped space was available, but the valet parked my car across the street instead of making things easier on us by simply doing a u-turn and getting the vehicle in a spot closer while it was raining. Valet fail. So we get to the hostess station, and were promptly seated per our reservation. We were escorted to a booth with a two-top pushed up against it with 2 chairs. So, we had to move the two chairs to slide into the booth. Then we sat and the two top wobbled all night long. We asked why we weren’t given one of the 6 top tables, and she said “other people are in them.” I commented “but we made these reservations a week in advance, wouldn’t that give you time to plan for us to have a table designed for 6?” She didn’t answer, so I tried to move on despite our discomfort. Seating fail. 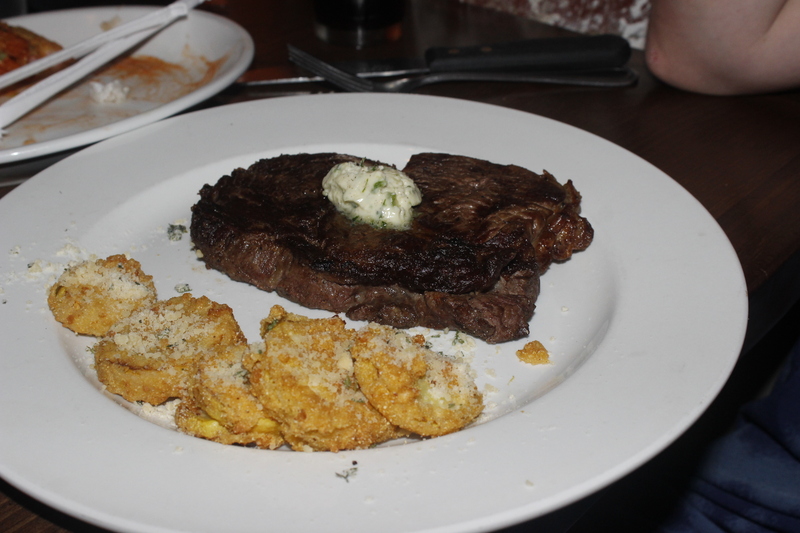 We begin to order and were promptly told that the prime rib was gone in addition to 2 other steaks. We quickly went back to the menu to pick another item. My friend and I ordered the French Onion Soup for appetizers. The waitress came back from the kitchen to report they were out. We then chose Shrimp and Crab Bisque, which we were told was out, too. I finally settled on seared scallops. So, 3 entree choices gone, and now 2 appetizers gone. Our hopes for a delicious meal were quickly being extinguished. 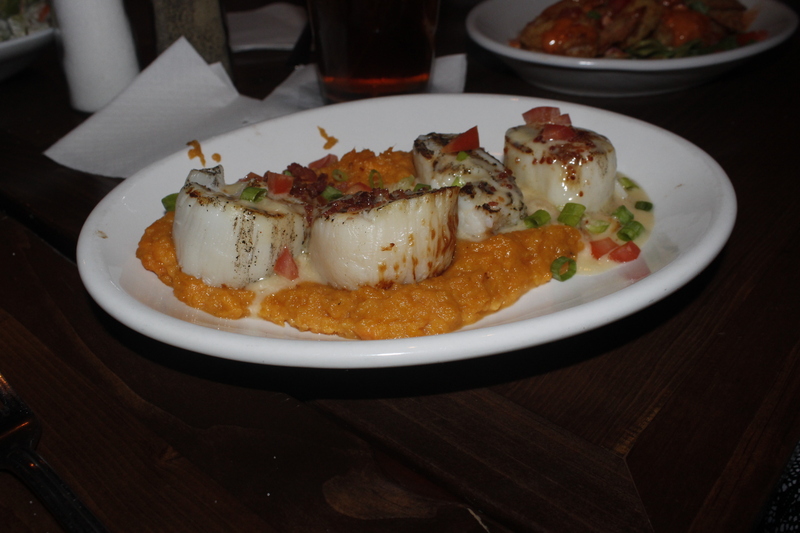 The seared scallops arrived and looked nice. They were sitting on a bed of sweet potato puree and looked to be seared lightly. I shared with table mates and we all agreed that they were just underdone, not enough to send back, but not perfect enough to enjoy. The puree below was also not hot. 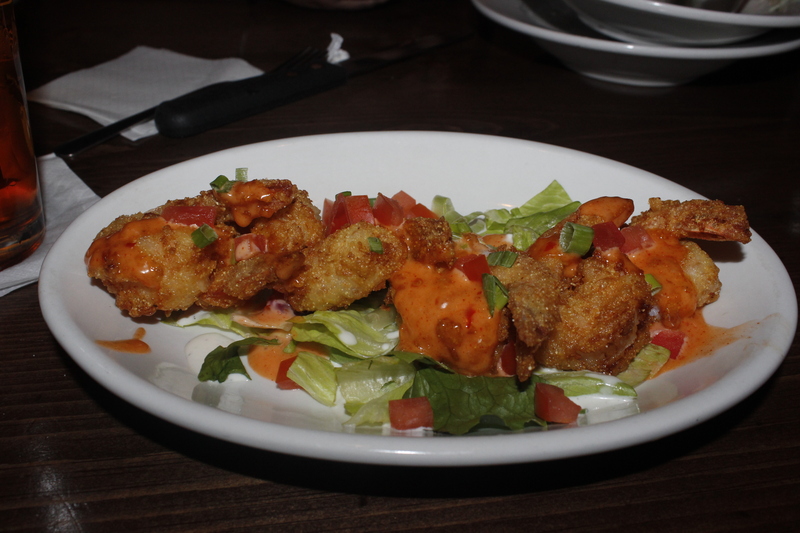 My friend got the Firecracker Shrimp and it was much better, though the shrimp were a bit fishy tasting. 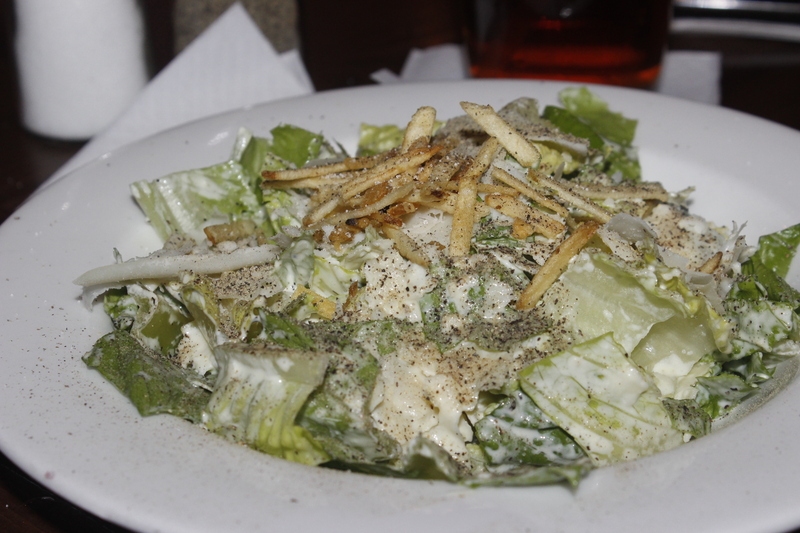 The Caesar is very cheesy. And has potato sticks atop. 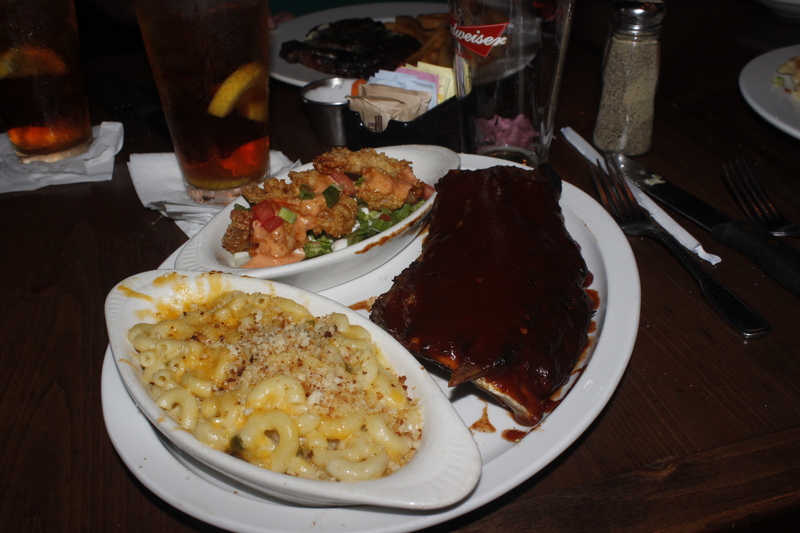 By the time our entrees arrived, we had been sitting there at least an hour. With empty glasses. The steaks were barely warm. The compound butter didn’t even melt on them, just sat right on top. 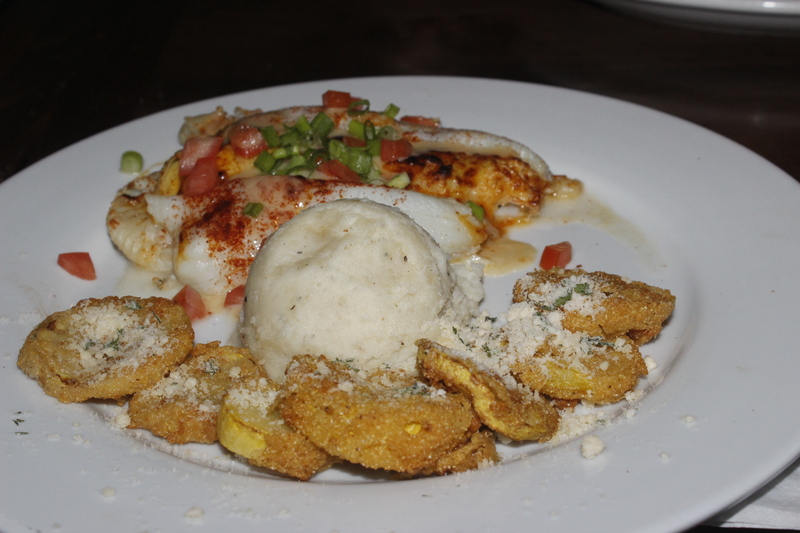 My dish was crab stuffed flounder with fried squash and mashed potatoes. The sides were both ice cold and my fish was flavorless. After one bite of everything, I sent the whole plate back and asked to see the manager. Food Fail. The manager was gracious, apologetic and clearly exhausted from a long night where nothing had gone right. She comped our meals, though we try to reject her offer. We left a sizable gratuity for the waitress, though the service was not terrific. We all felt like she couldn’t face coming to the table to give or hear any more bad news. I doubt I’ll go back, to be honest. Frankly, I don’t think Nick’s will be around much longer TO try again, unless they really revamp their service. If I were to give them a second chance it would be because the manager came by and tried to make it right at the end. Thai food is considered exotic…by me. It’s not that I don’t want to venture out of my culinary comfort zone, it’s that in my little burg there aren’t that many opportunities to do so. When I go to Thai House, the names of the dishes are in Thai (exotic!) but each is explained in perfect English. 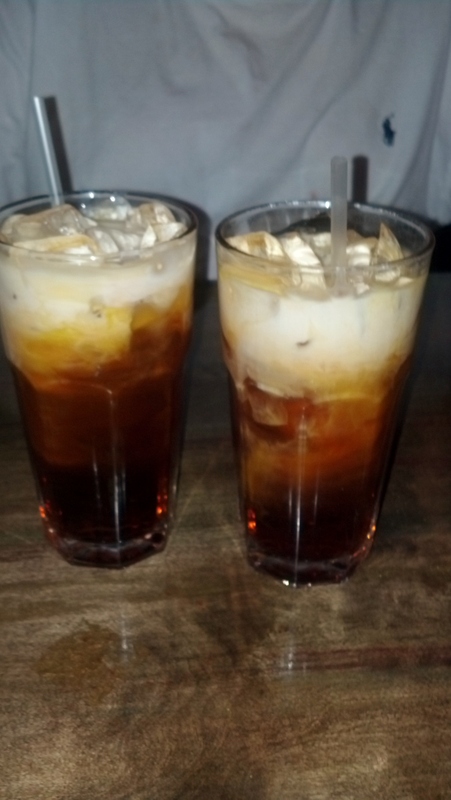 We start our meal off with a delicious Thai concoction known as Thai Tea. It should be dessert, it is so decadent and sweet, but they bring it straight away to your table. It’s a strong black Thai tea mixed with a sweetened condensed milk, steeped with spices like anise and ginger. Incredible! 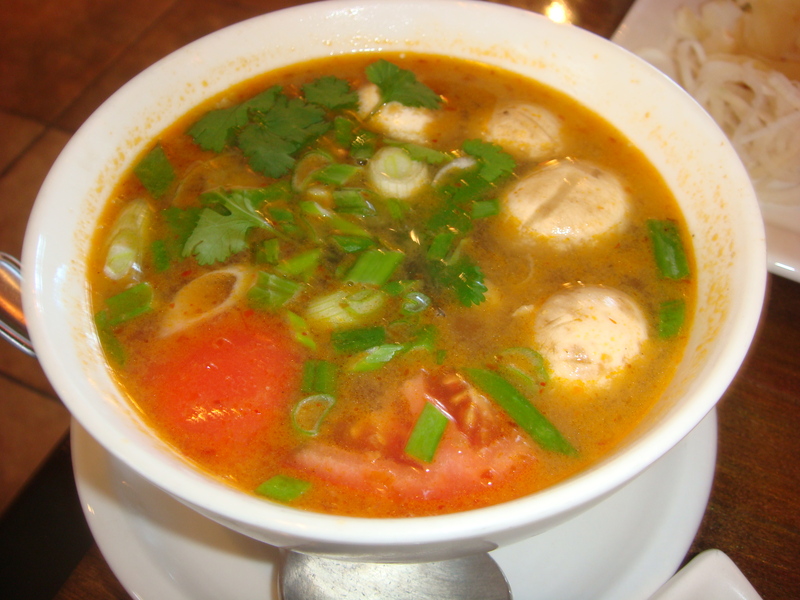 Tom Yum soup is an old standby. This one is similar to others I’ve eaten, the broth sour and spicy. This one was a little bit watery and not as great as the one I’ve had at Eez Fusion. This one was full of shrimp, chunks of mushrooms, tomatoes, lemon grass and flavored with lime juice. It was topped with chopped chives and cilantro leaves. The Spring Rolls are magnificent here. They are chock full of chicken, cabbage, carrots, clear noodles then encased in a wonton wrapper and fried to perfection. They serve it with a sweet Thai dipping sauce and on the table is a tray full of chilies to add at your discretion for heat. We needed none. I’m not sure how “Thai” this sushi is, but I do cheater sushi on a good day. 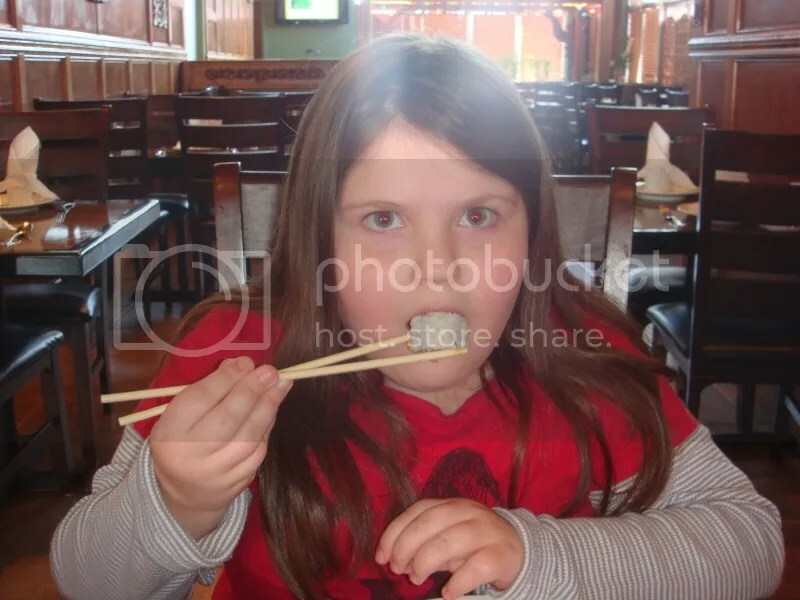 That means I really only eat sushi with cooked fish inside. 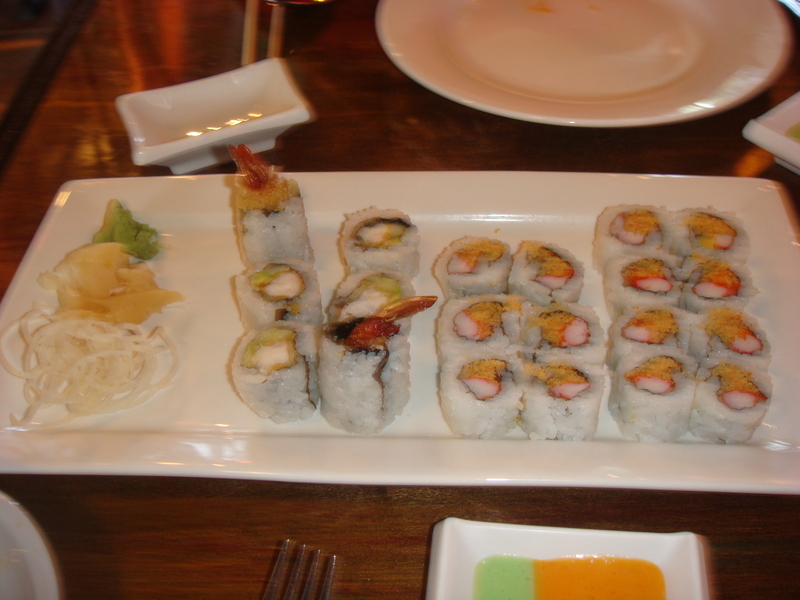 These rolls are crunchy shrimp and spicy crab. Or maybe it is the other way around. Either way, not a lot of funny business happening in these rolls. I adore that bit of crunchy in there and the dipping sauce it comes with (that’s the two-toned dip) is spicy and sweet at the same time. Magic! Of course, I still do the redneck sushi trick of mixing my wasabi into my soy sauce. If you are looking for delicious Thai food, give the Thai House in Gastonia a try soon. We love it!